Red Arrow was the first branded train in USSR. The board restaurant offers European standard since 1996. A special song is played at the train station at the time of the departure of Red Arrow. 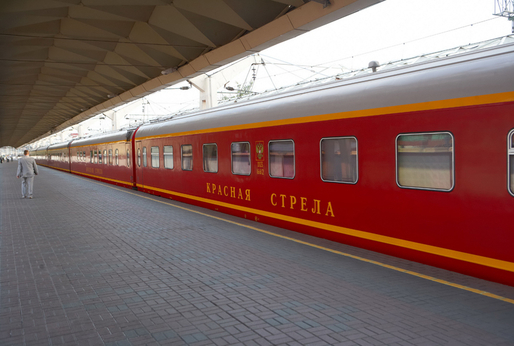 Red Arrow (Krasnaya Strela) train is very famous and has a long history. The first ride of the train was at July 9th in 1931. 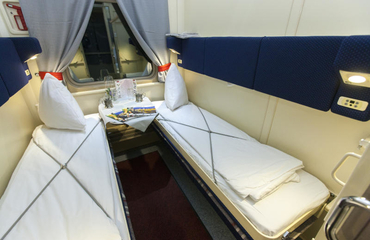 Since then it was many times renovated, of course, and now offers its passengers all the best and the most modern. Red Arrow train is called the trademark of the railways in Russia, and it fully justifies its flagship status. 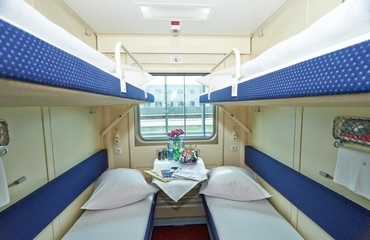 The train provides passengers with a full range of services along the way, as well as exquisite interiors of cars and a comfortable quiet atmosphere. The service of Red Arrow is one of the best on the Russian railways.